Remrov's Autistic Artblurbs: Happy Koalaween! 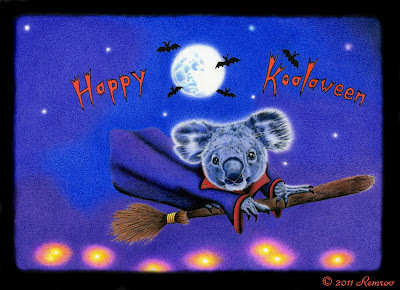 And I finally finished my Happy Koalaween card. A bit too late to sell it this year but I hope that next year around halloween I will sell lot's and lot's of it, so I can donate lot's of money to the Koala Hospital in Port Macquarie, Australia. Soon there will also be Christmas koala cards. 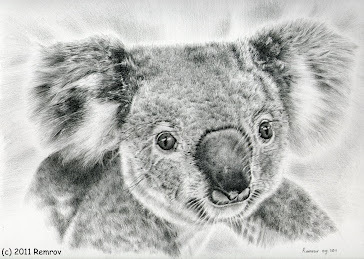 So please check my website 'Remrov's Artwork' before Christmast time and make sure you buy some nice Koala Christmas cards, and help the Koala Hospital with it.